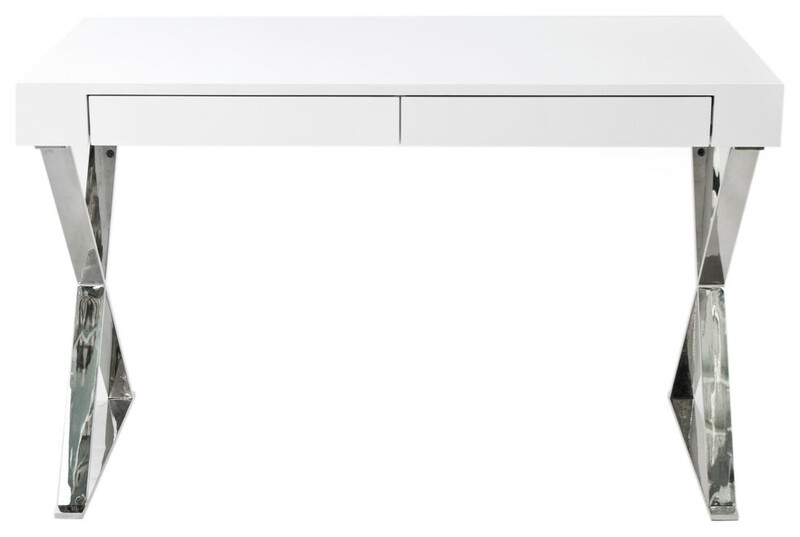 Rectangular desk with two pull out drawers and X-shaped metal legs. Item is finished on both sides. W 47" / D 24" / H 30" / 115 lb.